How to choose a carpet for the living room? Which form of carpet to choose? The shape of the carpet chosen will be according to that of your room. If the living room is long, we will try to keep a certain balance by avoiding a square carpet. The dimensions generally recommended for a rug in the living room are 160 x 230 cm. Do not know which carpet to adopt for the living room? Know that Shaggy is the trendy material of the moment. Often made of polypropylene or acrylic, the Shaggy rug, to discover in our selection of products at the end of the article, can have a shiny or matte appearance and bring modernity and comfort to your room. It is chosen thick for a cozy living room in winter. You can even sit directly on it or install some cushions for an improvised reading area. If the carpet is dense, it will look very soft. Those who prefer a more classic decor will turn to herringbone carpets, carpet wool, leather or bamboo. Highly resistant, bamboo rugs can be very interesting in a room of passage. Finally we find synthetic materials such as polypropylene, acrylic or polyester that allow all the folly in terms of creation. Our favorite for maintenance is the polypropylene fiber or synthetic wool, which combines all the advantages: resistance, easy to clean and antistatic. Less expensive than other materials, synthetic wool is ideal in passage rooms and if you have pets or young children. In the living room everything is a matter of taste and style. Between London-style pop rugs, oriental rugs, design or colorful, you’ll be spoiled for choice. Are you hesitating between a patterned rug and a plain rug? Prefer patterns and colors if your couch is of a neutral hue. If not, choose a mat of complementary or neutral color that will blend into the colorful world of your living room. For minimalism lovers, choose a plain rug. Be aware that dark colors better conceal the tasks and are more suitable for large stays and passage rooms. In smaller lounges, choose light colors that enlarge the space and add depth to the room. 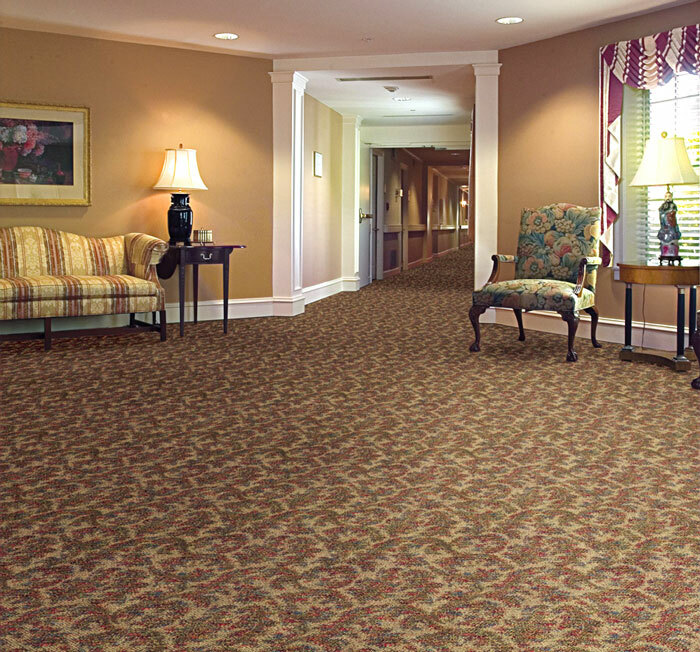 Do not forget to adopt the tips for maintaining your carpet.